In 1527-28, Spanish and Nahua invaders successfully laid the foundations of two cities in Guatemala and El Salvador. Both cities were relocated within decades, leaving behind a colonial “pueblo de indios” in Guatemala and an abandoned site in El Salvador. 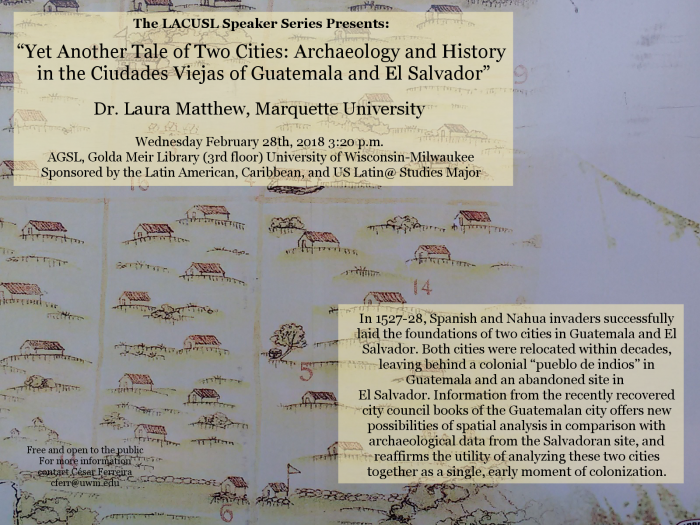 Information from the recently recovered city council books of the Guatemalan city offers new possibilities of spatial analysis in comparison with archaeological data from the Salvadoran site, and reaffirms the utility of analyzing these two cities together as a single, early moment of colonization.